The Bremner Sshhmute Trumpet Mute is designed by Trevor Bremner and has received continuous praise from numerous travelling brass soloists, including Trumpeter Alison Balsom and Trombonist Carol Jarvis. 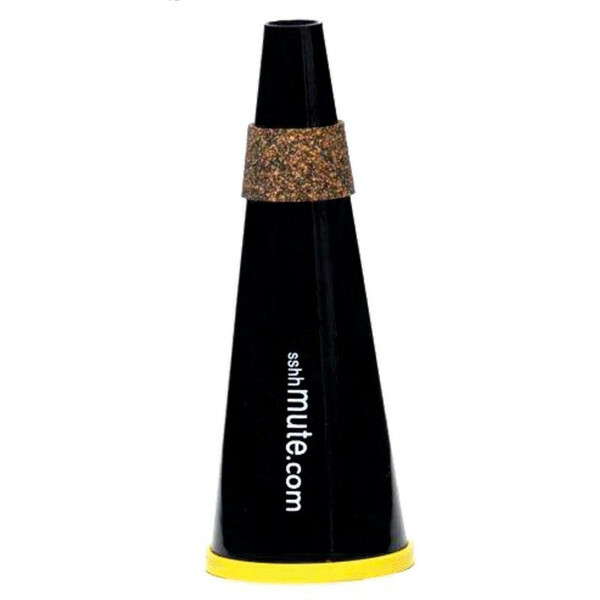 Their lightweight yet hard wearing ABS construction and precision manufacturing results in a practice mute that provides minimal back pressure. This allows for better air supply which helps develop and opens the throat muscles. The Sshhmute provides highly accurate intonation throughout the range whilst enabling the performer to practice wherever, whenever, without fear or frustrating those around them.